Enhance the atmosphere and warmth of any room with a wood stove or heater. We have the perfect modern wood stoves for sale to fit any need, from cooking on a wood stove to heating your home. No matter what you're looking for, from cast iron wood burning stove to a modern gas stove, we have all the wood heaters and for great prices! So find the right wood cook stove for sale that's right for you. 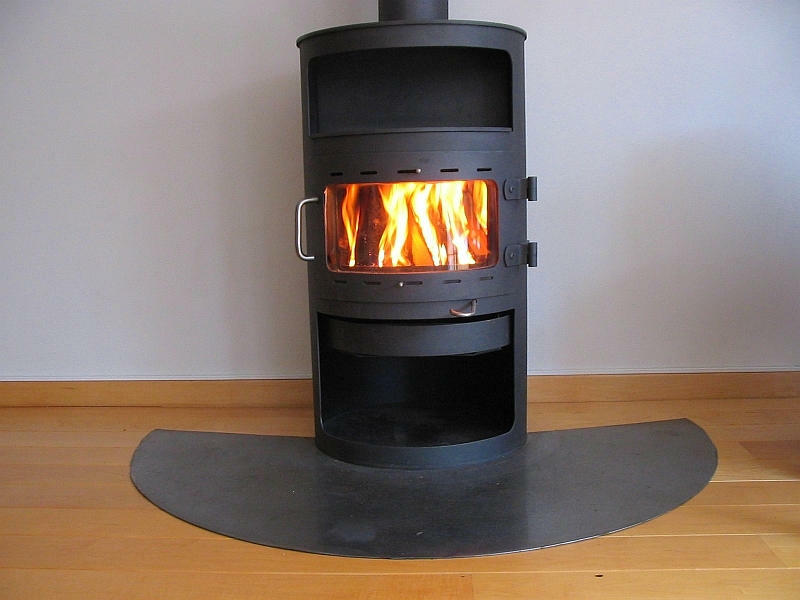 Looking for a wood stove for sale but not sure what stove to purchase? Check out our Stove Buyer's Guide below written by one of our NFI certified specialists. im looking for a wood stove that has the flue discharging from the rear, I'm dealing with and existing masonry chimney/flue with the top of the 6" flue is 26" off the hearth. Do you have any products that will work for this? What about the barrel stove, could the flue be installed out the rear? We do not have a true rear vent wood burning stove, and the barrel stoves are also top vented to draw properly. The Buck Stove Model 18 is pretty close on that height when you include the 9" pedestal, it would be 26 3/4" so a little bit beyond what you need. I bought a cord of Madrone wood for a family in need after researching firewood showed it to be one of the best. Their reaction was saying a relative had the glass in their stove "blown out" from burning Madrone. Their wood stove has an Lopi Endeavor label. I can't find any cautions online about burning Madrone wood. Do you know of any cautions about burning Madrone wood for home heating (maybe, specific to Endeavor)? Thank you for any reply. I have not heard of any issues with burning Madrone, in fact, I've always heard the opposite. While we are not a Lopi dealer, I pulled a manual on the stove and was unable to find any warning regarding the burning of Madrone wood. It could very well be that the stove was overloaded, as Madrone burns quite hot. Can you explain the freight shipment process? Both the weight and physical dimensions of prefabricated fireplaces and stoves necessitate shipment via a freight carrier. This will usually be a regional carrier that utilizes 48 or 53 foot tractor trailers, often equipped with electric or hydraulic lift gates. The process between a freight carrier and small parcel carrier is different and it is up to the end user to ensure the freight is received properly. Once an order is processed by our warehouse, the shipment will be palletized and picked up by the appropriate freight carrier. It will then be trucked to the local hub and directed to the distribution hub for your area. While we try to avoid freight hand offs from one carrier to another, long distance shipments sometimes necessitate this. Once the shipment has arrived at your local destination terminal, a representative from the scheduling department with the carrier will contact you via phone to set up a delivery day and time that works best for you. Someone will need to be available to meet the carrier and receive the freight at that time. At the time of delivery, it is important to inspect your shipment for any damage and make note of the damage on the freight bill of lading before signing off. While we regret that damage does sometimes occur, our warranty representatives will be happy to correct the problem promptly. I am looking for a gas assisted wood burning stove/fire place. I want to load the wood, flip a switch to light the gas assist, and once the wood is burning, turn the gas assist off - or use auto shutoff (if available). Is there anything out there that will achieve this? 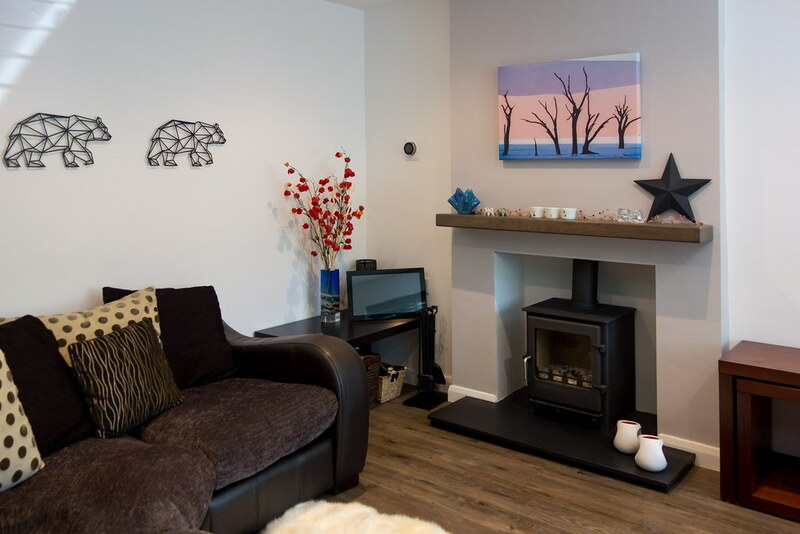 The closest thing we offer to meet your request is a prefabricated wood burning fireplace fitted with a gas log lighter. The lighter is essentially a length of pipe with perforations that must be lit manually with a lighter or match after the gas valve is opened. We have received several requests for an automatic style of log lighter with its own ignition system, but I have not come across a company that has gotten past the development stages. The issue is that the amount of wood ash generated would either foul or suffocate the ignitor, necessitating frequent service or replacement. Can I vent a wood burning stove through my wall or do I have to go through the roof? A wood stove can indeed be vented through a wall, but a tee must be utilized on the outside of that wall and the chimney must run vertically from there above the roof line a minimum of three feet. More height may be needed depending on the location of the pipe in relation to your roof peak and the pitch of the roof. For a full quote, please fill out our Chimney Pipe Design & Quote Form. Can a wood stove be vented out of an existing fireplace? It can indeed. Single wall stovepipe can be vented into the fireplace opening and then converted to a liner adapter and a flexible liner the rest of the way up the chimney. The liner adapter can be hidden from view behind the lintel of the fireplace opening. How do I know if my chimney is lined or ready to take on a wood stove? It is best to contact a local chimney sweep or NFI certified technician to perform an evaluation of the chimney. They will be able to determine the condition of the clay liner or if the chimney has been relined. They will also be able to advise on any further work that may need to be performed prior to installing a stove. How do wood stoves heat compared to gas stoves? Is the heat from a gas stove comparable? Wood stoves generate comparable output to a gas stove while on a low to mid burn setting, depending on the size of the stove. However, on a high burn setting, wood stoves can produce 60k to 100k BTUs, far surpassing the capability of a gas stove. The clean burn technology used in modern wood stoves generates a very intense fire, outpacing the gas stoves in heat output. Some of our larger wood stoves are capable of heating 3,000 square feet, when centrally located and used with an air circulation system of some kind. When passing through a floor into a loft in a log cabin how many inches below the ceiling should be the insulated pipe? The insulated Class A chimney should start inside the ceiling support box that will be needed to go through the ceiling. If you are using single wall stovepipe on the ground floor, 18 inches of clearance should be maintained between the pipe wall to the ceiling. The clearance can be reduced to 6 inches for double walled stovepipe. 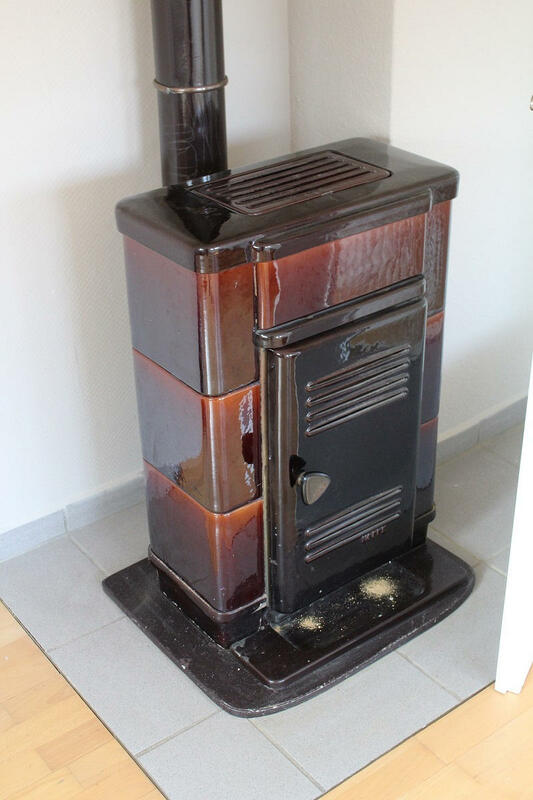 How can I identify my Heritage wood stove? Most stoves will have a build plate affixed to the rear of the unit, which should contain a model number and serial number for reference. I need something to put in front of my wood burner that will protect my carpet. Did you know there are wood stove models that do not use wood as fuel? Generally, when people think of a wood stove, they envision a free standing cast iron stove. 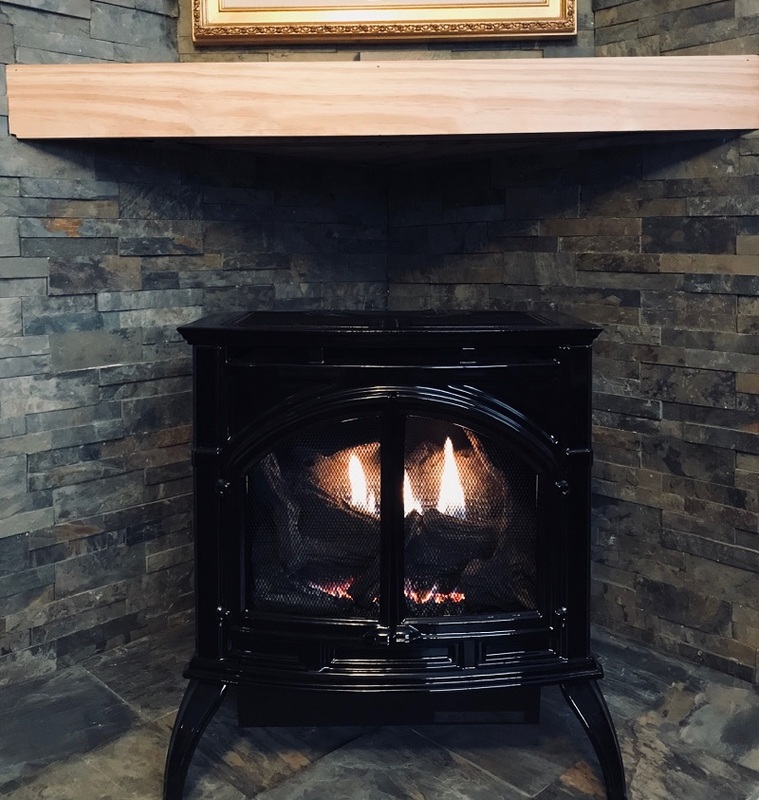 Perhaps you are in the market for a traditional wood stove, or perhaps you like the look of a wood stove but are interested in alternative fuel options or convenient venting. Either way, this article will give you a better understanding of the options available today. A cast iron, steel, or soapstone stove provides a timeless look that provides a lovely atmosphere as well as warmth. We'll cover the basics of wood stoves and discuss the unique features of the various types of stoves, including alternative fuel models, so you can choose the perfect stove for you and your family. Wood stoves offer more than just cozy heat for your home. You can use the top of the stove to cook meals. Not only can you put your wood fuel to work heating your home, but you can cook with it too. Indoor wood burning stove cooking means hot, home cooked meals even without electricity, either for off-the-grid living or during a power outage. For suggestions on cooking with your wood stove, check out this article on how to use your stove top to prepare meals. Wood is carbon neutral, unlike natural gas and propane, so wood burning results in a smaller carbon footprint. We recommend that you stockpile wood fuel during the off season when the fuel prices are low, so you can enjoy low cost fuel for cooking and heating all winter long. Not all wood stoves are suitable for every home and location. When choosing a wood stove, make sure that the models you consider meet relevant regulations and fire codes. Since 1988, the EPA has issued a series of emissions guidelines that limit how much pollution newly manufactured stoves can produce. As of February 3, 2015, all new stoves were required to meet a standard of no more than 4.5 grams of pollution per hour. A new standard, scheduled to go into effect May 1, 2020, will reduce the maximum pollution allowed to just 2.0 grams per hour. For more detailed information about the history and current landscape of EPA restrictions, you can read our article entitled EPA Emissions and the Future of Wood Burning Stoves. Thankfully, there are several wood stoves available that stay well within the 2.0 gram per hour limit. With the new restrictions on the horizon, it seems that the future is in clean-burning stoves—something you should definitely consider when purchasing an appliance for your home. EPA guidelines aren't the only rules to consider. Wood stove regulations (particularly with regard to emissions) vary based on where you live. 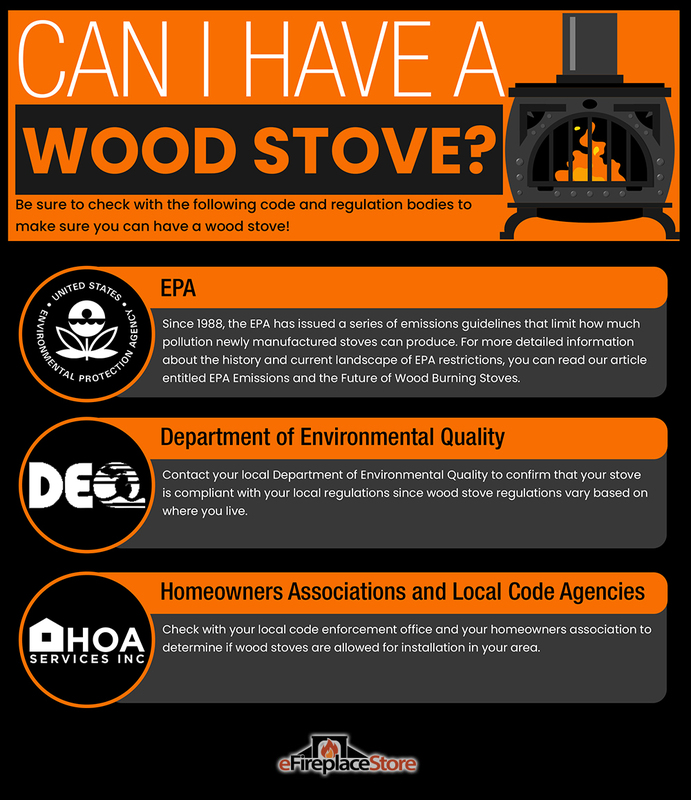 Even if your stove meets the current EPA regulations, it still may fail to meet your state or city air quality laws. Contact your local Department of Environmental Quality to confirm that your stove is compliant with your local regulations. Homeowners Associations (HOAs) throw another layer of regulations into the mix and sometimes add additional restrictions as neighborhood requirements. The last thing you want is to fail a home inspection due to a wood stove with inadequate standards. Check with your local code enforcement office and save yourself a lot of hassle down the road. There are four main factors to consider when selecting a wood stove: venting, location, desired heat output, and efficiency rating. 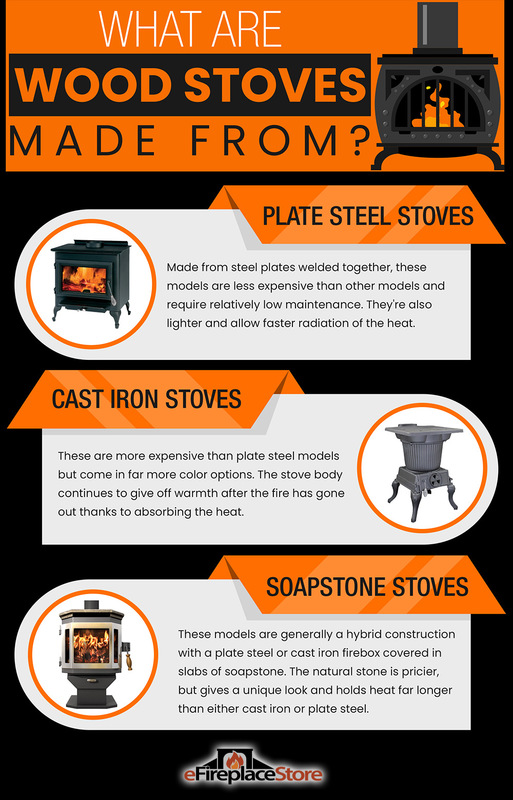 Although not an exhaustive list, these aspects will help you narrow your search for the perfect stove. Venting and location go handing hand, as venting involves how the stove pipes carry stove exhaust through your house. Although it is possible to vent some stoves directly to the outside, others work best with a chimney that is installed so that most of it travels through interior the house (this provides the best conditions for the stove to draw air from outside). Of course, stove venting running through the house will affect the rooms directly above the stove, so you need to consider what options you have in terms of making room for the vent system. Decide where you want the stove in your home. If you are using the wood stove as a primary heat source, it is best to install it in a central location. You might even consider placing vents over your doors or fans to help move the hot air throughout the house. Location will also dictate what type of stove you should select based on fire safety. Depending on the model, you will need to install the stove a certain distance from walls or flammable materials. If space is an issue, consider heat shields that allow you to install your stove closer to a wall, or stove models that do not need as much clearance. Many people choose to install their stove in front of an existing masonry fireplace. This allows them to take advantage of the chimney and hearth and is a great way to use that space. However, it's not usually recommended to install the stove within the old fireplace since it is far less heat efficient than placing the stove out in front of the opening in the wall. The heat your stove is capable of producing is measured in BTUs. To keep your home comfortably warm without overheating, look for the square footage ratings in the stove's specifications. You can also refer to this BTU calculator to get a ball park of how many BTUs are needed to reach your optimal temperature in the space you are heating. Other considerations include how cold your climate gets in the winter and how well your home is insulated. For example, if you live in Wisconsin and have only moderate insulation, you may need to increase the number of BTUs that are typically recommended for the square footage of the area that you are heating. Conversely, if you live in southern Georgia and want the atmosphere of a wood stove without the extra heat, you should consider a wood stove with a low BTU output. The final consideration is the efficiency rating. If you prioritize low emissions, or are hoping to use your fuel supply as efficiently as possible, you will want to look for stoves with high efficiency ratings. After deciding on the type of stove that you wish to purchase, you are ready to choose an installer. Since proper installation is crucial to the safety and function of your new stove, we recommend hiring an installer trained and certified by the National Fireplace Institute (NFI). You can find NFI installers by visiting their website and searching by your postal code. Since there are different certifications for wood and gas appliances, you'll want to confirm that your installer is certified to work with your particular stove type. Wood Energy Technology Transfer, Inc. (WETT) is another organization with trained installation professionals. WETT technicians also offer inspections to insure that your previously installed stove is safe. You can search for WETT technicians in your area by visiting the WETT Inc. website. If it isn't feasible to hire an NFI certified professional in your area, another option is to hire a licensed general contractor. A competent general contractor should have all the skills necessary to safely install your appliance. Do your research to ensure that you hire someone reputable and don't be shy about asking them to explain their experience in installing wood stoves. Osburn — Osburn stoves are part of the SBI family of brands. SBI is a Canadian manufacturer that prides itself on producing wood burning and pellet burning stoves of exceedingly high quality. Using extensive computerized manufacturing techniques, their stove models achieve very high unit to unit consistency and offer both modern and traditional designs. Vermont Castings — Founded over 40 years ago, Vermont Castings is a well known brand specializing in high quality cast iron wood and gas stoves. Featuring exquisite attention to detail, a wealth of color options, and an impressive array of accessories, Vermont Castings models have long set the benchmark for cast iron stoves. Buck — The Buck brand of stoves has been a staple of the hearth appliance industry for decades. In fact, many older wood stoves are often referred to generically as a "buck stove", even if they may not have been manufactured by Buck. Having diversified into both wood and gas product offerings, Buck maintains a proud legacy of domestic manufacturing and commitment to quality. Napoleon — Based out of Barrie, Ontario, Napoleon offers a broad range of wood, gas, and pellet burning stoves. From the budget-minded Timberwolf brand, to the highly detailed cast iron series of wood stoves, their product offerings are truly able to fit any budget. Along with an impressive line of direct vent and vent-free gas stoves and pellet burning models, Napoleon offers a high quality appliance for every need. Jotul — A Norwegian based manufacturer, Jotul has a long history spanning over 160 years. Offering a wealth of uniquely designed wood and gas stoves, best selling models like the Jotul F 602 have sold over 1 million units since their inception. A testament to fine stove building, their stoves often become cherished heirlooms that are passed down generation to generation. 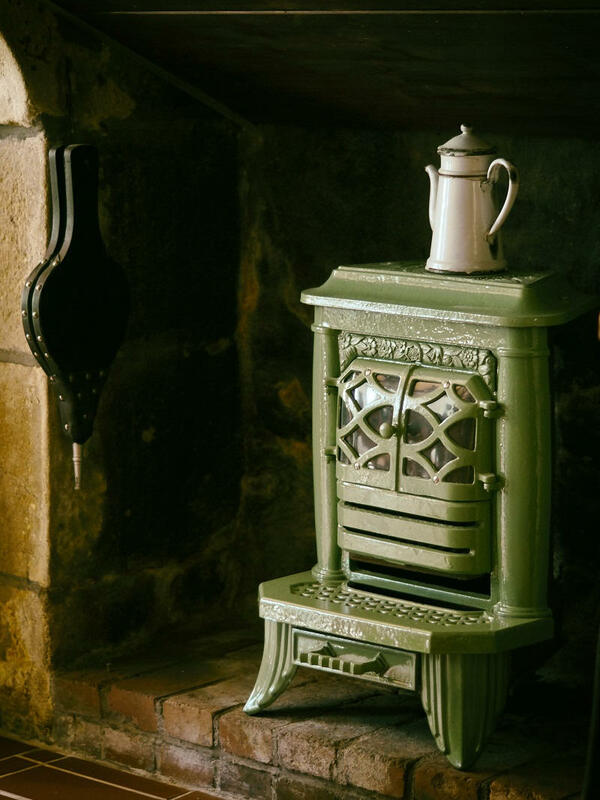 England's Stove Works — A result of the need to build a better wood stove in the face of ever increasing energy standards, England's Stove Works was founded with efficiency and durability in mind. Their wood stoves continue to maintain a very high level of durability with a price that is difficult to beat. Simple yet handsome, their stoves are the perfect match for anyone wanting a "jack of all trades" wood stove. Although most people associate free standing stoves with wood fuel, there are other options available. Liquid propane, natural gas, and pellet stoves are also available as free standing models. In addition, space heaters, wall furnaces, and wood/coal furnaces are often grouped into the stove category. While there may be alternatives on the market, many prefer and choose the traditional wood burning stoves. In many areas, firewood is plentiful and easy to access, making it an economical fuel for stove owners. However, if there is not a good local supply of wood where you live, you might want to opt for an alternative fuel. Available in both liquid propane and natural gas models, gas stoves are an excellent choice for those who which for the traditional stove form but not all of the wood chopping. Natural gas is available from municipal utility lines, and is quite common. Since natural gas is lighter than air, it avoids the hazard of pooling like liquid propane. Liquid propane is available by delivery, or could come from a municipal line. Just stay aware of how much gas you have on hand so you don't run out of fuel for heating your home. One thing to note is that liquid propane is heavier than air, and as such it poses a risk of forming pools of gas which could cause an explosion if ignited by a spark. Take care to understand the risks involved and how to safely maintain and operate your liquid propane system. Pellets are made from organic byproducts, such as sawdust, cherry pits, or wood scraps. Although it may not be easy to source pellets in some areas of the country, they are a compact fuel that is easy to store. 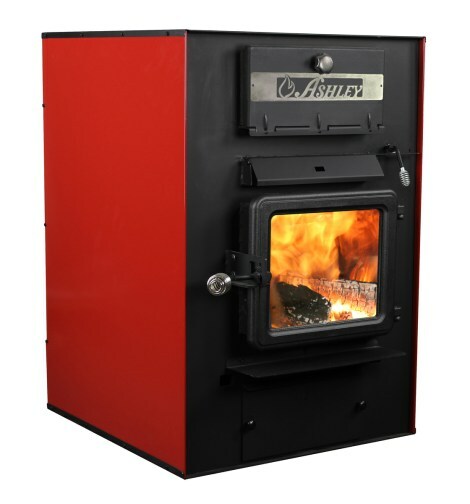 Pellet stoves operate with a hopper that feeds pellets into the wood stove. Although this can allow for some automated control of the burn temperature, it also means that the stove requires electricity to operate, making it a poor choice for consumers who are planning to use their wood stove in the event of a power outage. Space heaters are often found in the stove category, despite the fact that they typically lack some of the visual aesthetic that most people associate with classic wood stoves. However, if you are more interested in function than form, a space heater might be the perfect choice to heat your space. Space heaters are particularly good for zone heating and are perfect for the basement, garage, or any room that tends to be drafty or cold. Wood or coal burning furnaces operate in a similar way to wood stoves and are intended to supplement heat that is generated by a traditional HVAC system. The furnaces can be attached to your central duct system to facilitate heat throughout your home. They can also come equipped with blowers to distribute heat across a large area. Our stove sizes include models rated to effectively heat up to 3,600 square feet. Furnaces offer an aesthetically pleasing way to keep your home warm with less expensive fuel and come in a variety of sizes and styles. Keep in mind that they are not rated for use in mobile homes. 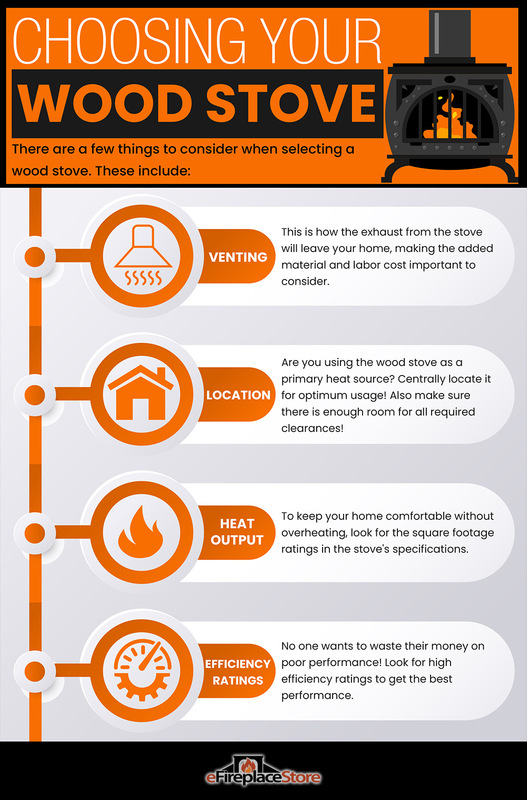 Get a Deeper Understanding of Wood Stoves! 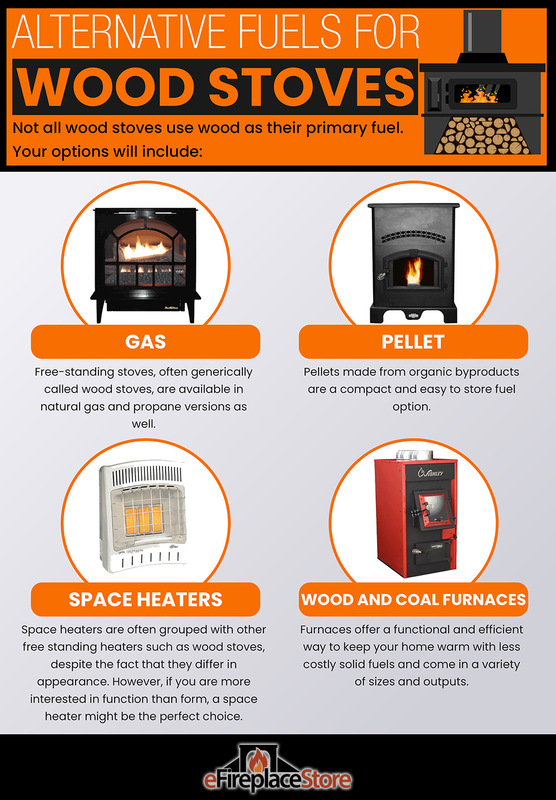 Want more details about the different types of wood burning stoves? Here's a deeper look at the common model categories. Modern wood burning stoves have a more standard design than pre-EPA models. Materials — The most common materials offered for current EPA stoves are plate steel, cast iron, and soapstone. Plate steel stoves are made from steel plates that are welded together. They are less expensive that cast iron or soapstone models and require relatively low maintenance since the welded joints do not require service. They are lighter than cast iron or soapstone, and also allow heat to radiate to the room more quickly. Cast iron models are often more expensive than plate steel, but they come in far more color and style options. The stove body also absorbs heat and continues to give off warmth hours after the fire has gone out. They are beautiful and durable, however, after several years they may require maintenance of the cemented joints to keep the seams air tight. Soapstone models are generally a hybrid construction with a plate steel or cast iron firebox covered in slabs of lovely, veined soapstone. The natural stone is pricier, but it gives a unique look and holds heat far longer than either cast iron or plate steel. Although the stone may take longer to heat up than other stove models, it gives off a steady warmth that is more comfortable to sit next to than the hot exterior of the metal models. The lower exterior temperature also allows for smaller clearances when installing the stove next to walls, but it is not able to heat as much area as other stove models. The stone is quite heavy and is more easily scratched than cast iron or steel, but the options for colors and patterns are unique and beautiful. 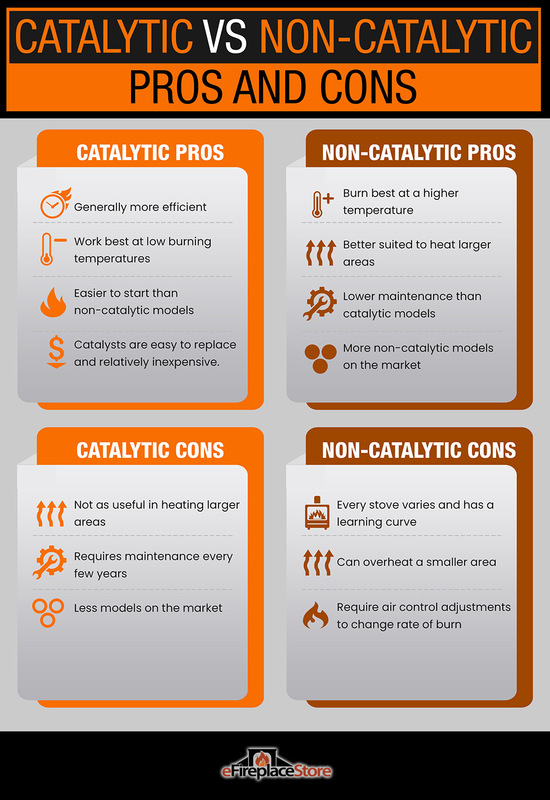 Burn Type — Wood stoves are available in both non-catalytic and catalytic models. Both systems were born out of the need to meet ever tightening efficiency and emissions standards imposed by the EPA, and both are capable of providing efficient, low-emission heat. Catalytic models are generally the most heat efficient of the two and have come a long way since the technology first came out. They are designed to work best at low burning temperatures, which makes them ideal for customers who want a long-lasting, low burning fire, but makes them less useful in areas where a lot of heat is needed. They are also easier to start than non-catalytic models. The catalyst does require some maintenance every few years, but the catalysts are easy to replace in newer stoves and relatively inexpensive. Keep in mind you will find more non-catalytic stoves on the market, as the selection of catalytic stoves is fairly limited. Non-catalytic stoves typically burn best at a higher temperature, making them more suitable to heat larger areas. They are slightly lower maintenance than catalytic models, since there is no catalyst. They are more complicated to start than catalytic models, but once the fire is started, you'll only need to do air control adjustments to adjust the rate of burn and heat output levels. Note: You will want to learn your stove's settings, as every stove varies, but once you have this knowledge, it will become incredibly easy to maintain a good burn. Gas stoves include direct vent models and vent-free models. Some direct vent stoves can be configured as direct vent or B-vent models. Materials — Common material types for gas stoves are sheet metal steel, plate steel or cast iron. Unlike wood burning models, the material used has less to do with heat transfer and more to do with the desired appearance or the price point (steel is often less expensive than cast iron). Sheet metal steel is lighter weight than plate steel and allows for greater heat transfer, which is useful for lower output gas stoves. It is a low cost option, but the material is more easily dented and the styles are not as decorative as cast iron models. Plate steel is more expensive than sheet metal, but it is more durable and often has a more handsome appearance than the sheet metal models. The gas models closely resemble a wood burning plate steel stove. Cast iron stoves are the most expensive, but are more decorative and durable. Drawbacks include internal components that are more difficult to service than the steel models and the fact that there are fewer cast iron gas stove options on the market. Vent Type — Gas stoves have the same venting options as their gas fireplace counterparts, vent-free and direct vent. Direct vent models feature a sealed combustion chamber and a double wall venting system. This allows for easy installation and the sealed combustion chamber means that there is no draft from the outside and no exhaust released into the room. The direct vent models typically have less heat output than vent-free models and the glass fronts can produce some glare or reflection. Vent-free offers the most flexibility in installation since there is no need to install any vent pipes. However, vent-free stoves do produce a measurable amount of water vapor, and they do have a scent. This scent can be a detriment to those with allergies or breathing issues, and in the case of asthma or COPD sufferers, it can be a critically negative point to a vent free system. Vent-free systems also require a periodic cleaning of the pilot assembly and burner. With any vent-free system, you will want to check with your local code enforcement office before purchase as vent-free systems are not legal in some regions. Material — Most models are manufactured from plate steel or sheet metal, although some cast iron models do exist. Pellet stoves are divided into two primary styles. The first resembles a traditional wood stove with a pedestal or legs and is designed as a room heater. The second functions more like a furnace and features larger hoppers and the option to force heated air to other parts of the home. Hopper — A holding chamber for the pellet fuel. Pellets are dumped from a bag into the hopper, where they are then drawn into the stove for consumption. Most hoppers are contained within the stove body, but some models offer hopper extensions to increase capacity. Auger — A electrically-powered mechanical device that draws pellet fuel from the bottom of the hopper and deposits it into the burn pot for combustion. Burn pot — A small container, usually constructed of stainless steel that holds the pellets during combustion. A grid or mesh holds pellets in place while letting ash fall through to the ash tray. Combustion fan — A blower that supplies air to the flames for combustion. The fan will vary in speed based on the amount of heat desired. The fan is also responsible for pressurizing the vent system and forcing exhaust to the outdoors. Convection fan — A blower that moves air through the heat exchanger tubes above the burn pot. The air is heated as it passes through the tubes and then ejected to the room. Heat exchanger — A series of tubes that are positioned directly above the burn pot. Flames from the burn pot heat the exterior of the tubes, in turn heating the air that is forced through the tubes by the convection fan. This clean, heated air is then expelled into the room. Venting — There are a variety of venting options depending on your needs, but keep in mind that pellet stoves will burn easier if there is a simple vent route. Sharp turns or lengthy vents may make exhaust and intake more difficult. There are three basic categories for space heaters: vent-free infrared wall heaters, vent-free blue flame heaters, and wall furnaces. The models we sell run on liquid propane or natural gas, providing an option for heat even during a power outage. The vent-free models accommodate rooms, such as basement rooms, where it would be difficult to install a venting system. Vent free infrared wall heaters — These self contained wall mounted heaters use a sheet metal body to encompass a ceramic heating grid. It uses natural or propane gas to generate a low, but brilliant flame that generates infrared heat. Infrared heat is a radiant heat, meaning that instead of heating the air in the room, it heats the objects in the room. The heated objects in turn give of warmth to the air. Many customers prefer this type of heat because it is perceived as less harsh and keeps the air from becoming stuffy. Vent free blue flame heaters — Like infrared heaters, these systems contain a burner system within a sheet metal chassis. The system generates an intense and clean burning blue flame. The flame heats the air in the room, allowing for the room to feel warmer faster than with an infrared wall heater. However, there is more moisture produced and the heat tends to be uneven which can make the air uncomfortably hot if not circulated. Wall furnaces — Wall furnaces are a type of heater that is very similar to a conventional gas HVAC furnace, except they are not connected to a ducting system in the home. Instead, the gas burner generates flame, heating the air in the combustion chamber, which is then dispersed into the room. Most models utilize a convection fan to assist in the process. Overall, the variety of options make space heaters a very convenient and flexible heating solution for your home or garage. Wood and coal furnaces are unique appliances that are similar to a wood stove in the way that they operate. They are designed to supplement a traditional HVAC system. The furnace is essentially a large wood or coal fired stove encased within a sheet metal cabinet. The furnace is loaded in much the same way a wood stove is, with air controls allowing various burn types. The heated air generated by the internal stove is collected within the surrounding cabinet and a large convection fan pushes the air from the cabinet into the supply ducts. The supply ducts are then piped into the furnace plenum, which is the air chamber that collects heated air to distribute to various registers throughout your home. These systems are utilitarian and designed for function over form. They are best positioned immediately adjacent to the HVAC furnace for maximum efficiency. Two of the most important safety considerations when installing your stove are the proper clearance allowances and the correct venting. Venting solutions vary depending on the type of stove you are installing. You can refer to the summaries above for some general information about the type of venting required for different stove types, but always make sure that you verify the venting route before you purchase the stove. You can also visit the stove pipe page on our website to view available venting options, or you can consult with one of our NFI Certified Technicians. Clearance allowances also vary depending on how hot the external portions of your stove get during a burn. In general, stoves should be installed at least 36 inches away from all combustible materials, including walls, furniture, and combustible floors. This 36 inch clearance can be trimmed down to as short as 12 inches if the appropriate heat shielding and stove pipes are installed. If you are unsure about the exact make and model of your stove, it is wise to stick to the 36 inch clearance rule to avoid any hazards. Never install a stove directly above a combustible floor. You can use non-combustible material like tile to construct a hearth, or you can purchase hearth board or hearth pads to protect the floor. Check out our selection of heat shielding stove boards to get an idea of the variety of heat shields available. Also double check that your stove meets all of the requirements for your local codes and HOA regulations. This is particularly important if you are interested in installing a vent-free model, as you will need to confirm that they are allowed in your location. Wood stoves possess the longest possible lifespan of any hearth appliance. With proper care and maintenance, they can last up to half a century. However, if the stove is abused, with over firings and no regular maintenance, a wood stove could only have a lifespan of about 4 to 5 years. Over firing can be caused by overloading the stove with fuel and leaving the primary controls open. This can cause the stove to burn far hotter than intended—making the metal glow red and warp. Once a stove's metal warps, the stove's useful life is over. Read the user manuals so that you thoroughly understand how to operate and maintain your stove and ensure that your stove is installed according to professional standards so that you and your family can enjoy a functioning stove for years to come. Wood stoves are far more than a narrow selection of wood burning appliances. With a variety of fuel options, styles, venting options, and heating capabilities, you have the luxury of choosing a stove that suits your needs perfectly.